Abnormal coloration or spotting on the leaves of a plant signals that something is wrong. 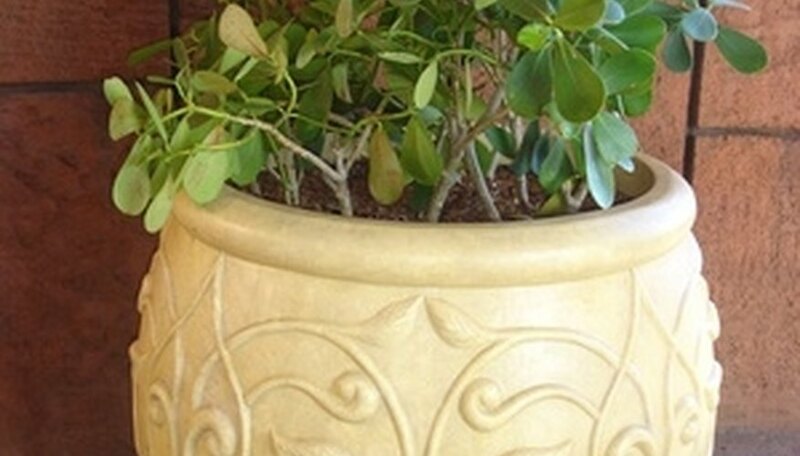 If your houseplant has developed white spots on its leaves, the culprit may be an insect, disease or cultural problem. Several insect pests cause white spots on houseplant leaves. Spider mites feed on leaves, creating small white dots that begin on the undersides of the leaves and alongside leaf veins. White spots develop around the feeding area used by armored scale. Thrips produce large, silvery patches in their feeding area. Horticultural oils treat scale infections. Spider mites and thrips are harder to control. Rinse mite-infested plants with a strong stream of water and treat the remaining mites with horticultural oil. Insecticidal soaps and oils can likewise control thrips, while sticky traps attract them and help to reduce populations. Few diseases cause white spots on leaves, except for powdery mildew, which forms white, papery patches on leaves. Remove infected leaves and prevent further spread of the disease by reducing humidity and improving ventilation to allow the plant's leaves to dry. Some plants are sensitive to cold water, according to the Clemson Cooperative Extension, and watering with cold water or splashing cold water on the leaves may cause harmless white spots on the leaves.